Splash Car Wash owner Mark Curtis, right, works at his car wash at 625 W. Putnam Ave. in Greenwich, Conn., on July 22, 2015. GREENWICH — Splash Car Wash announced Thursday the acquisition of a car wash in White Plains, N.Y., and the purchase of the establishment that it already runs in the central Connecticut town of Cromwell. Formerly operated as Gold’s Car Wash & Detail, the White Plains site will join another Splash car wash in the Westchester County city. In Cromwell, Splash plans to make renovations that would include the addition of free vacuum stations and an option for customers who want full-service vacuuming. The acquisitions mark the first two made since Boston-based private equity firm Palladin Consumer Retail Partners invested last November in Splash, whose main offices are in Greenwich. “We are so excited to ‘break the ice’ with these great acquisitions and look forward to adding more sites in the coming months,” Curtis said. 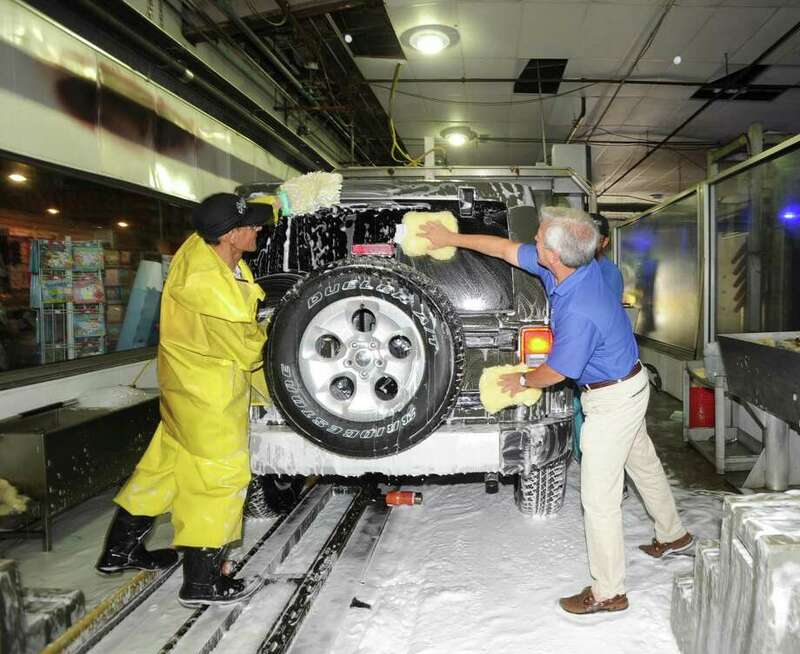 There are 19 Splash-operated car washes in Connecticut and New York, as well as three in China. All sites include detailing operations and six provide oil changes. In its hometown, Splash has two car washes: at 625 W. Putnam Ave., and 73 W. Putnam Ave. Elsewhere in Fairfield County, Splash also operates sites in Stamford, Darien, Norwalk, Wilton, Fairfield, Bridgeport and Shelton. Splash was started in 1981 by lifelong Greenwich-ites Curtis and Chris Fisher, with the purchase of the-then Greenwich Car Wash.